Gordon was a track and field standout in High School. He was an athletic instructor in the U.S. Navy during World War I. Upon discharge, he worked for the Peterson Seed Company before joining the Carter's Tested Seed Company in 1920 as superintendent of its golf course construction division. While there, he constructed courses for such well-known golf architects as Willie Park, Jr., Leonard Macomber, Donald Ross and Devereux Emmet. In 1923 he joined the firm of Toomey and Flynn, where he remained until 1941. During the Depression, he was also part owner and manager of Marble Hall GC in Philadelphia. Gordon founded the Pennsylvania Public Golfers association and served as its first president from 1936 until 1940 and was also a member and president of the Philadelphia Public Golfers Association. In 1941 Gordon formed his own corporation, which was involved until 1945 in the seeding of military installations. For the next five years his firm constructed golf courses for Donald Ross and J. B. McGovern. From 1950 to 1973 Gordon designed and built courses on his own under the incorporated name of William F. Gordon Co. Most of his courses planned after 1953 were done in collaboration with his son David. He died in 1973 at his home in Abington, Pennsylvania. 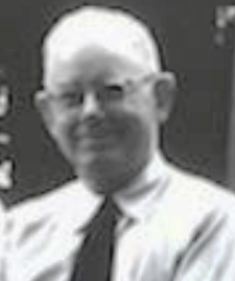 His son, David, became a partner in the Gordon firm in 1952 and was involved in all aspects of the business. He continued to maintain the practice after his father's death in 1974, retiring from active work in the mid 1980's.